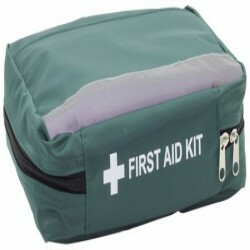 Workplace first aid kits are practical in and around the office and on the factory floor. 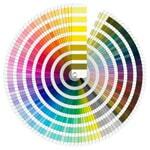 When printed with your brand name or logo, they work to boost image. 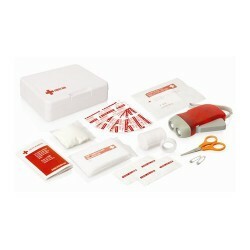 Customers receiving these first aid kits also tend to associate your brand with safety and protection. 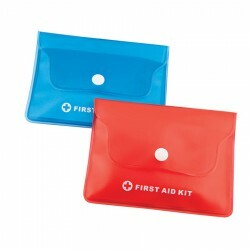 Promotional Product Experts selection of custom first aid kits suitable for the workplace consist of promo plasters, pill boxes and emergency kits in a variety of containers. 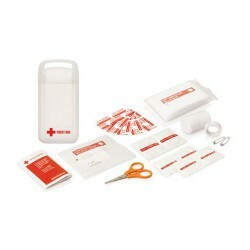 The kits usually come complete with alcohol wipes, bandages and large plasters. Speak with our sales team or click on the images below for more details. 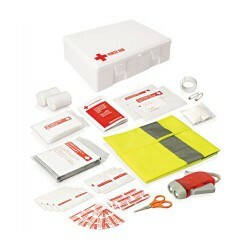 A compact kit with reflective strips and carry handles for use in and around your vehicle, home or office. 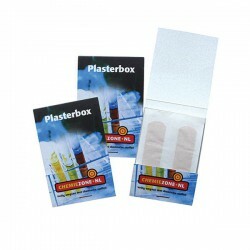 This kit contains the mostfrequently used plaster and dressing materials. Perfect for storing in the glove compartment. Heart shaped, lightweight promotional pill container suitable for carrying a variety of pills, both large and small. Compact design that fits easily in your pocket or purse. This promotional pill dispenser is an innovative pill dispenser that rotates a daily dosage of tablets, caplets or capsules to an easy open compartment. Dispenser cover detaches for easy refilling. 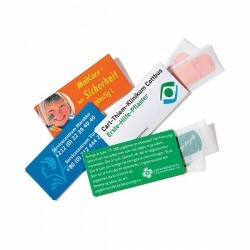 Promotional condom packs filled with four seasons condoms and customised with a full colour folded sleeve. 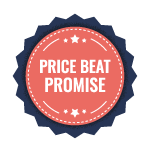 These personalized condoms are a lightweight, compact promotional product that can be easily distributed to clients via mail or as a handout giveaway. 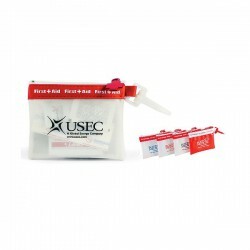 Frosted vinyl pouch with clip attachment creates a handy promotional clip on care kit. Each customised care kit contains 4 vinyl bandages, 2 snip bandages, 2 antiseptic towelettes, 2 adhesive pads and 1 first aid cream packet. 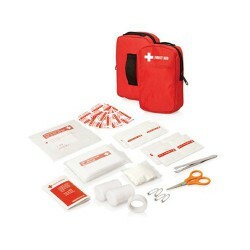 These branded care kits also feature a convenient clip that easily attaches to your golf bag, backpack or purse. Translucent bandage dispenser. Bandaids included. White Dispenser - 290pc, Blue Dispenser - 345pc, Red Dispenser - 239pc *special available on stock only and until stock sold out. Contemporary design allows for convenient access to medication. 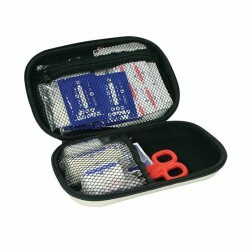 This promotional pill organiser Features 1 large compartment and 2 smaller compartments for keeping pills fresh and safe. 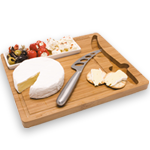 Ideal for carrying in purse or overnight bag. 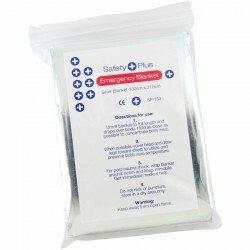 Silver emergency blanket complete with directions for use. 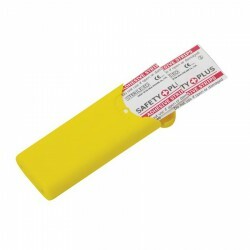 Great addition to any first aid kit. 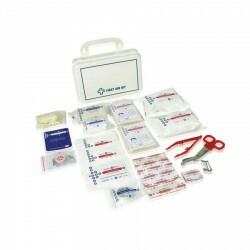 Made of strong ABS with wall bracket and a neoprene seal, this large kit contains a comprehensive range of first aid items ideal for worksite or office. 72 pieces suits 8-10 persons. 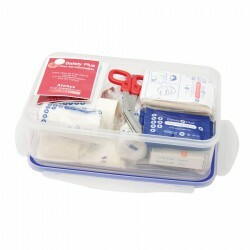 This office and home first aid kit has a selection of the essential items ideal for treating a variety of emergencies. Packed in a clear airtight, snap lid container. 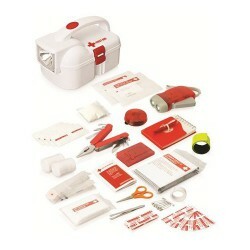 Handy travel 17 piece first aid kit. 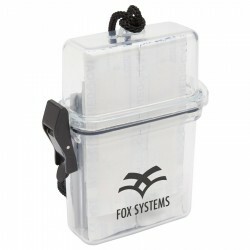 Plastic case with carry handle and press/snap open and closure. 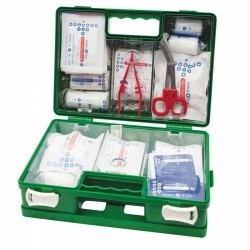 Handy 18 piece plaster first aid kit. Plastic case with carry handle and press/snap open and closure. 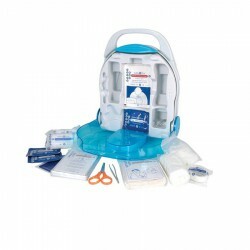 Handy child based 15 piece bite and sting first aid kit. 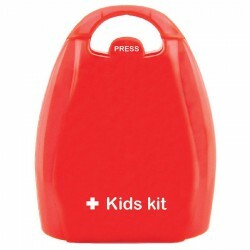 Plastic case with carry handle and press/snap open and closure. 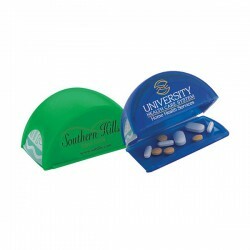 Unique and compact corporate gift pill dispenser allows for easy release of pills. Comfortably fits in pocket or purse. 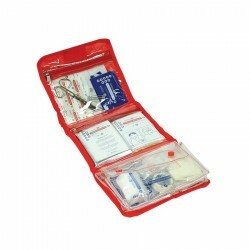 This go-anywhere first aid kit contains adhesive bandages, wipes, tweezers and much more….all supplied in a protective water resistant case. Australian made heat wheat pillow. 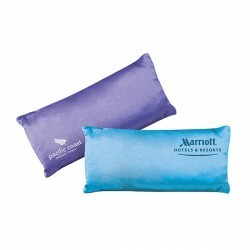 These promotional wheat pillows are perfect to soothe tired eyes, muscles and general aches and pains. Ideal standard size for the face, eyes and body. Lavender scented option available for additional charge. 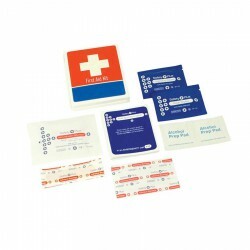 Printed first aid kits are suited to a wide range of different businesses and are an excellent way to promote safety in the workplace. 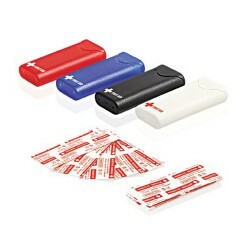 This handy travel sized first aid kit contains 3 band aids, 3 sterile alcohol pads, 1 antiseptic towelette and 1 sting relief pad. Vinyl case with red cross shaped zipper pull. 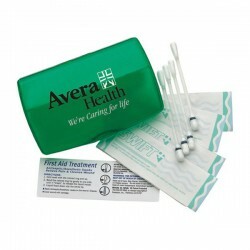 Promotional pocket-sized care kit, in a reusable plastic case allows easy dispensing and easy refilling. 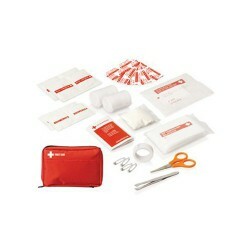 Each printed care kit contains 3 vinyl band aid, 2 snip band aids and 1 sachet of first aid cream. 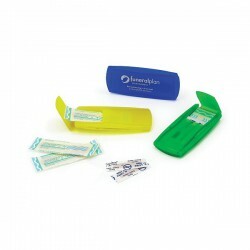 Promotional bandaid dispenser and promotional pill box all in one. 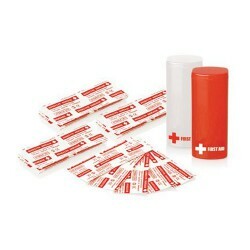 Features an easy to refill design, 5 vinyl bandages and a large pill compartment. 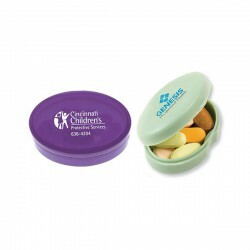 Oval shaped, lightweight custom printed pill box suitable for carrying a variety of pills, both large and small. Compact design that fits easily in your pocket or purse. 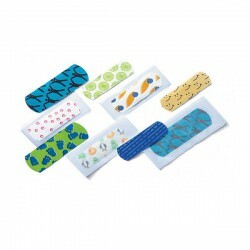 This mini printed care case comes in a convenient, compact case, each containing 4 vinyl bandages, 4 swabs and 1 antiseptic sachet. 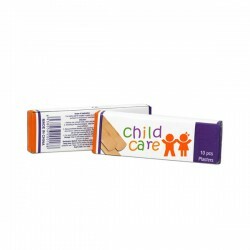 This mini promotional care kit is small enough to keep handy at all times. 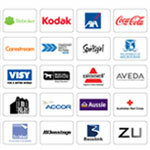 What better way to give your customers the attention they need when they really need it! 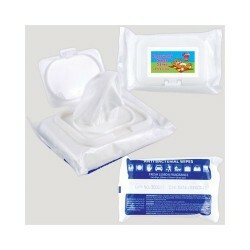 10 scentless wipes in re-sealable bag with white front section for branding. Great for the car or handbag. 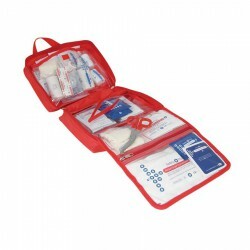 30pc First Aid Kit - Carry pouch wtih front pocket, Durable polyester pouch with compartments, 5x small plasters, 4x alcohol wipes, 4x moist towelettes, 2x PBT bandages, 1x triangular bandage, 5x non-woven pads, 1x pair latex gloves, 4x safety pins, 1x scissors, 1x tweezers, 1x paper tape, 1x First Aid information booklet. 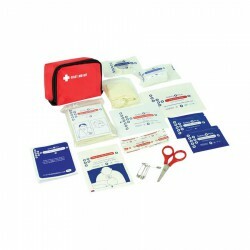 30pc First Aid Kit - Belt pouch with front pocket, Durable polyester pouch, 5x small plasters, 4x alcohol wipes, 4x moist towelettes, 2x PBT bandages, 1x triangular bandage, 5x non-woven pads, 1x pair latex gloves, 4x safety pins, 1x scissors, 1x tweezers, 1x paper tape, 1x First Aid information booklet. 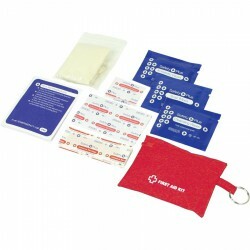 34pc First Aid Pouch on Keyring, Durable polyester pouch with keyring, 10x small plasters, 10x large plasters, 5x round plasters, 6x alcohol wipes, 2x moist towelettes, 1x First Aid information booklet. 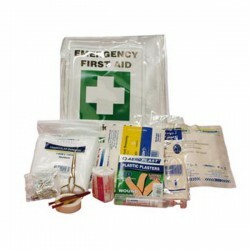 49pc Emergency First Aid Pack, 15x large plasters, 8x alcohol wipes, 4x moist towelettes, 2x PBT bandages, 1x triangular bandage, 10x non-woven pads, 1x pair latex gloves, 2x safety pins, 1x scissors, 1x paper tape, 1x emergency blanket, 1x safety vest, 1x dynamo torch with internal battery, 1x First Aid information booklet. 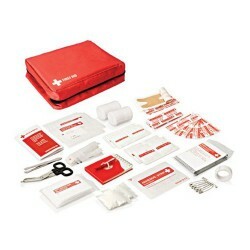 23pc Emergency First Aid Kit, 5x large plasters, 4x alcohol wipes, 1x PBT bandage, 1x triangular bandage, 5x non-woven pads, 1x pair latex gloves, 2x safety pins, 1x scissors, 1x paper tape, 1x dynamo torch with internal battery, 1x First Aid information booklet. 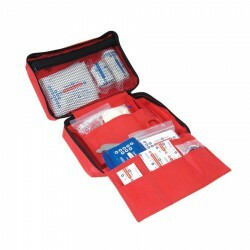 30pc Pocket First Aid Kit, Contoured to fit comfortably in your pocket, 5x small plasters, 10x large plasters, 4x round plasters, 4x knuckle plasters, 2x alcohol wipes, 2x moist towelettes, 1x CPR mask, 1x pair latex gloves, 1x First Aid information booklet. 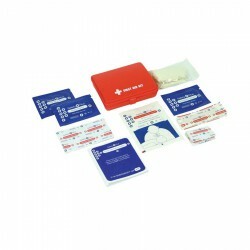 23pc Compact First Aid Pack, 5x small plasters, 4x alcohol wipes, 2x moist towelettes, 1x PBT bandage, 1x triangular bandage, 5x non-woven pads, 2x safety pins, 1x scissors, 1x paper tape, 1x First Aid information booklet. 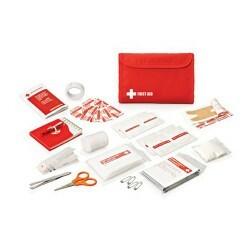 21pc Waterproof First Aid Kit. Waterproof container protects the contents. 5x large plasters. 4x alcohol wipes. 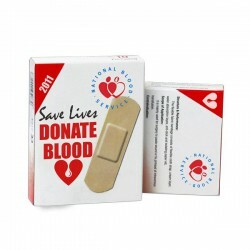 1x PBT bandage. 1x triangular bandage. 5x non-woven pads. 2x safety pins. 1x scissors. 1x paper tape. 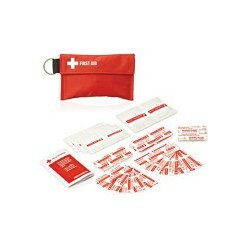 1x First Aid information booklet. 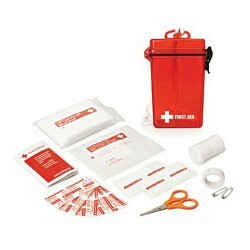 15pc Waterproof First Aid Kit . Waterproof container protects the contents. 5x small plasters. 2x alcohol wipes. 2x moist towelettes. 5x non-woven pads. 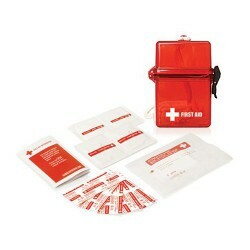 1x First Aid information booklet. 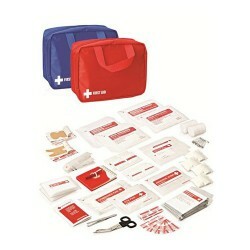 Comprehensive, wall mounted/carry first aid kit, ideal for home or office use. Complete with wall bracket and detachable plaster container. Compact plastic case, which includes necessary adhesive plasters and wound cleaning swabs for all injuries, ideal for direct mail or promotion. 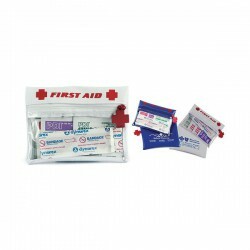 Whether you're in your car or just travelling away, this 45 piece first aid kit will help you handle an emergency at a moments notice. 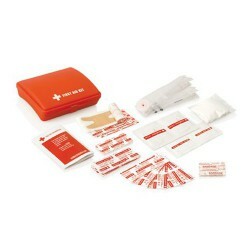 This First Aid Kit is small and convenient. It can be put in your pocket. 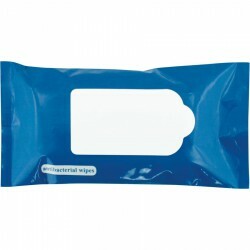 20 x Citrus scented anti bacterial non woven hand wipes in pouch. Great for body, offices, car, travel bags on the go.